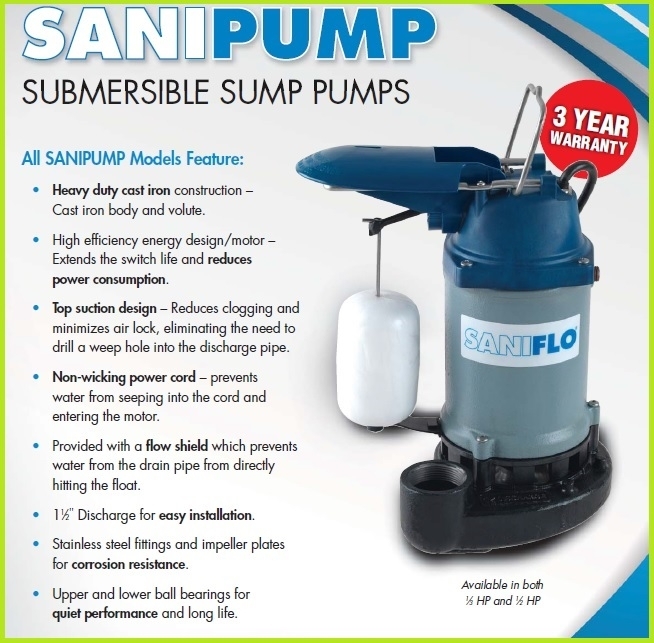 Saniflo SANIPUMP 1/3 hp submersible sump pump, 56 years of quality packed into this heavy duty sump. This heavy duty pump is definitely not a big box store unit, max lift 22ft 70GPM. Better quality, better price and absolutely the best service.